The Honda CIVIC has become a motoring icon, selling over 16 million since it was originally launched. Despite its popularity and its quality build, the CIVIC has always been considered somewhat dull and boring. With the new CIVIC, Honda have worked hard to lose that tag and have unleashed one of the most radical cars in this sector. Just looking at the new CIVIC reveals this 7th generation CIVIC is going to be anything but dull and boring. Despite its dramatic appearance, the new CIVIC retains one of the core values you expect from a Honda which is very high build quality. The fit, finish and paintwork on our test car were superb. 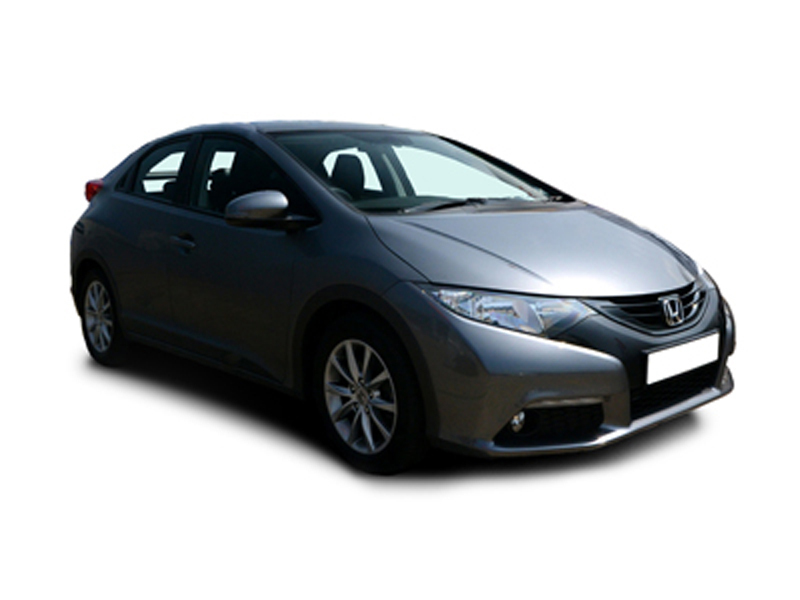 Currently available only in 5 door version, the CIVIC 5dr has hidden rear door handles which give it a 3dr coupe look. Rear visibility however suffers because of the thick C pillars and very shallow rear door glass and this is further confused by the split glass tailgate obscures vision further particularly at night or in the wet. Inside the car most surfaces have a quality feel to them and although from outside the interior looks small, its not as it can easily accommodate 4 six footers with adequate leg room and head room. However, the shallow sideglass makes the rear compartment a little claustrophobic, or should we say cosy. I guess that depends on your point of view. The dashboard is very unusual and will come as a shock to Civic traditionalists. There is a huge digital speedo right in front of the driver and this is surrounded by, flashing LEDs for fuel consumption monitoring and rev warnings. The rev counter is, Porsche-style and, to emphasise its sporting aspirations even further, there’s a big red engine-start button. Once you get over the initial impact of the dashboards appearance, its good, its easy to understand and it kind of grows on you the longer you have the car. The Civic has dual front and side airbags, electronic stability control, active head restraints, emergency brake assist, seatbelt pre tensioners and five three-point seatbelts. On the security front, it also has a rolling-code engine immobiliser, deadlocks, a perimeter security alarm and an integrated radio. The electric power steering is particularly quick, too, with just 2.2 turns from lock to lock, it also has very strong self-centering, which won’t be to everyone’s taste. Three engines are on offer, an 83bhp 1.4 and 140bhp 2.0 petrol and a 140bhp 2.2-litre diesel. The 1.4 engine with its 83bhp takes around 14.6 seconds to get to 62mph, whilst the 1.8 petrol does it in almost 6 seconds quicker at 8.9 seconds. The star of the range however is the 2.2 diesel, which is the car we tested and this is one of the best matches of car to engine we have used. The diesel delivers a real punch in that crucial 2,000-4,000rpm rev range, yet can deliver up to 55.4mpg overall and that’s amazing. We felt the 2.2 diesel engine was amongst the best of its class. Prices range from £12685 through to £18,100 for the top of the range diesel. Three-door versions will appear towards the end of 2006, and a hot (200bhp-plus) Civic Type-R is expected to make its debut at the British Motor Show in 2006 and is sure to become a cult hit just like the last Type R did.